A lot of patent news ought to be shared today, but we lack the time to annotate this all that much, so here are just the key links. Open source developers notoriously shy away from pursing software patents. The concept is ugly to them. “At Gnome, pretty much our whole community is anti-patent. They think they are evil. They think they will hurt them,” explained Stormy Peters, executive director of the Gnome Foundation, at a conference on Open Source and Patents held by the Silicon Flatirons, in Boulder last week. But without patents of their own, FOSS developers have limited their defense against patent bullies, those seeking to stop innovation by filing patent infringement suits. And to some extent, having no patents makes them vulnerable to patent trolls, those who make no product and buy patents to collect royalties. So says the DPLs creators, Jason Schultz and Jennifer Urban, law professors and directors of UC Berkeley’s Samuelson Law, Technology & Public Policy Clinic. • Should A Toy Plane Get More Intellectual Property Protection Than A Real Plane? However, as Ray Dowd at the Copyright Litigation blog points out, this creates a bizarre situation where the inventor of an actual airplane might only get 20 years protection via a patent… but the maker of a toy knockoff of that real airplane? The patent bill “seems to be stalled somewhere between the House and Senate,” Conyers said during a hearing on the Patent and Trademark Office. He said after the hearing that he and ranking member Lamar Smith, R-Texas, and Judiciary members are considering offering a standalone bill on one of the less controversial provisions in the Senate compromise to allow the PTO to set its own fees and to bar Congress from diverting fee revenues to other government programs. This meeting is a double bill. A talk by Chris Warburton on the Sheffield University Free Software Society (FSS) and then a screening of Patent Absurdity. Patent Absurdity is a documentary about software patents. In additional “c’mon guys, software patents are invalid” news, there’s a great short movie that was supported by the Free Software Foundation called Patent Absurdity. It explores the case of software patents and the history of judicial activism that led to their rise, and the harm being done to software developers and the wider economy. The Pirate Party wants to change copyright law, giving artists more liberty to build on previous works and choose distribution and licensing models allowing them to make a living, and to help educate music artists about earning through means other than selling recordings through large corporate intermediaries. It pledges to evaluate introduction of levies to further compensate artists, but in turn, would make private, non-commercial copying of content legal and virtually unrestricted for consumers. 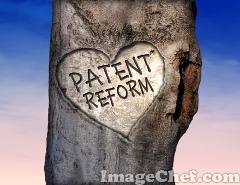 Noting that current legislation grants patent owners 20-year monopoly rights, and contending that especially in the fast-moving software industry where inventions virtually always build on previous works, issuing patents on software consequently exposes innovators to lawsuit risk, chilling innovation, the party would ban software patents to encourage innovators to enter the market without fear of being sued. I like the Pirate Party’s position. Pro culture (knock copyright down to a decade or even zero for noncommercial use) and abolish software patents to promote innovation. Gosh, but what about all the other issues? On other issues, they neutrally represent their constituents.